I feel like the Pens can go far with the group of forwards they have but the defense is lacking a few things. I mourn the loss of Olli Maatta. He didn’t die or anything. In fact, a well-placed source says he’s in Pittsburgh and seems happy. Isn’t that just like our Olli…..he’s had a season filled trials and tribulations yet he’s putting on a happy face. That having been said, his talent is missed in a big way. What DO the Pens have? Kris Letang is doing his part by putting up a Norris Trophy-worthy performance. It seems he’s always in the mix for the Norris but when the smoke clears, someone else takes the statue home. He is, however, guilty of too many undisciplined penalties and bad decisions with the puck. I’m not ignoring his blistering offensive game just suggesting some defensive focus on his part would go a long way in the stretch and into the playoffs. No reason why he can’t finally take Mr. Norris home….perhaps with his friend Stanley. 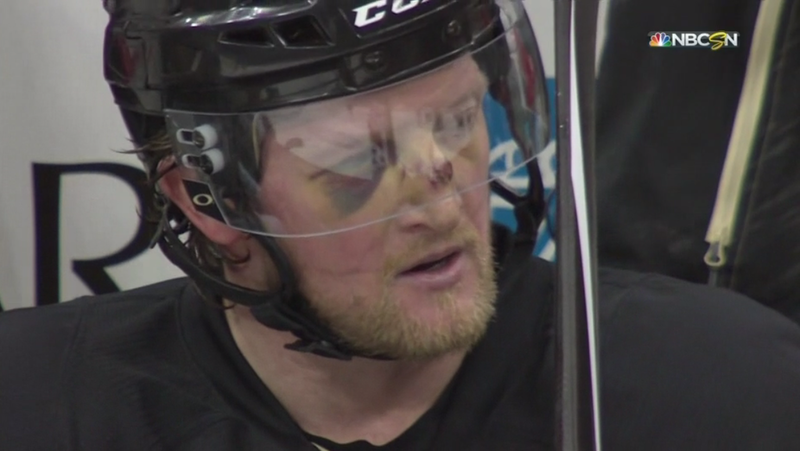 Paul Martin, whom conventional wisdom says is in his last season with the team, has given his all including sacrificing his face in defense of the net. He’s smart, mobile and can log huge minutes but his game has slipped a bit. Rob Scuderi, the oft-malined aging blue-liner, has made an effort to reignite his game and is serving as Yoda to Simon Despres’ young Skywalker. Christian Ehrhoff is needed. He was concussed January 28 at Washington but appears close to return. Good, right? Here’s where it begins to get sticky…. The bottom two pairings. 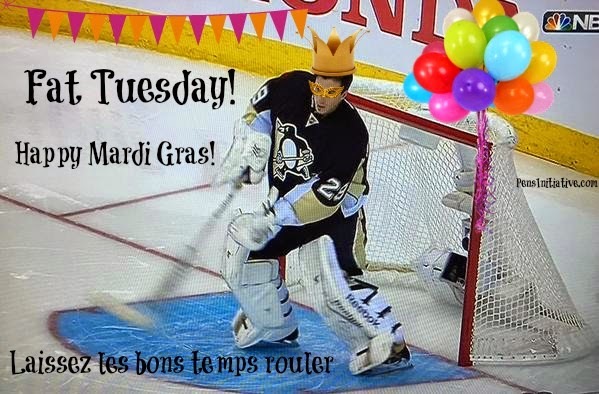 As much of a fan as I am of Robert Bortuzzo’s gritty play, his defensive skills have dropped off. The emergence of Derrick Pouliot makes that glaringly evident. Pouliot has good vision on the ice and excellent puck distribution skills. He doesn’t have the physically imposing presence Bortz does on the ice, but is an explosive skater and does not shy from battling for the puck in corners. I would pair Pouliot with Ehrhoff, who does have a grittier presence, as the second defensive pairing. Who should play with Scuderi as the third pair? He and Despres have looked good together…at times. But, Scuderi has slowed and Despres is unpredictable. His potential was that he would be a top four D-man able to play big minutes and in all situations….he has improved much this season but still has not reached his potential. I foresee a trade to fill out the defensive pairings. I would be in favor of moving Despres in order to fortify the blue line for a cup run. A friend suggested that a deal involving Despres and Doumolin might buy a rental with the skills to shore up the defense. At first I thought that was a heafty price but you won’t get the defenseman you need for an AHL guy and a case of Iron City….you have to give in order to get and the Pens have already given up enough future draft picks. It’s time to trade actual bodies. Who would fit the Pens’ needs at an affordable price? When I first considered the possibility of acquiring a defenseman, I looked at Marc Methot and Kieth Yandle. Methot re-signed with the Senators and (as in life) Yandle became less attractive on closer inspection. Jeff Petry is a possibility. He's an underrated former second round pick (2006 Draft) who is being shopped as the ailing Oilers look to rebuild. 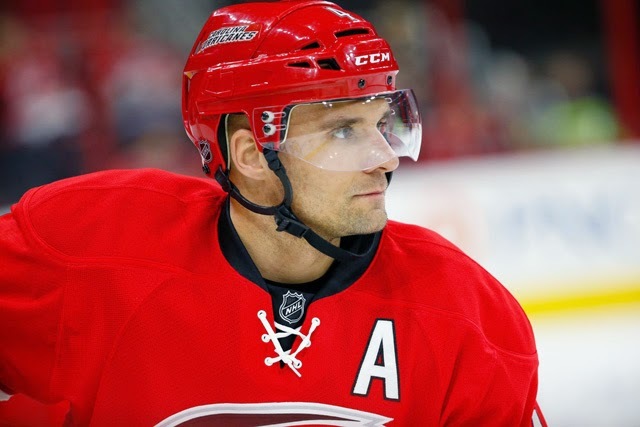 The Hurricanes' Andrej Sekera looks like a nice possible addition. The 28 yr old defenseman has been a good fit for the 'Canes since they acquired him two summers ago. Sekera had a good season in 2013-14 (11 goals and 44 points in 74 games) but his numbers have fallen off this season (18 points in 52 games). It's worth remembering his team's numbers fell off as well. His TOI has remained good at near 23 minutes per game. It looked like Carolina was making an effort to resign him (cap hit $2.75 mil) but with their need to rebuild, it looks like he will likely be dealt. The Pens’ defense as it stands today, doesn’t have the moxy for a deep cup run. Sekera is an affordable option who could make a difference and absorb some minutes. It would be great if, like David Perron, he could land on a good team and renew his game. Was anyone else scratching their head when Letang shot 3rd in the shootout over Malkin? Any thoughts about splitting up Crosby and Malkin on the Power Play? How about at the end of the second period: Crosby was sent off for tripping Blackhawks defenseman Johnny Oduya, drawing loud cheers from the crowd. But replays showed Oduya went down on his own and the officials conferred before rescinding the penalty, allowing Crosby to leave the box. Damn straight, Skippy! I have a goal for the Pens......Get it done in regulation. The Hawks ruled that shootout like a Pharaoh. Would like to see our boys get it done in regulation and eliminate the chance for Patrick Kane to deke MAF's jock off. Any comments or questions? Space provided below.